Product Review of the Day: Global Keratin The Best Keratin Treatment! Have we mentioned that we’re in love with keratin treatments? We just cannot get enough of this protein packed power treatment for your hair and we’re loving that there’s more and more different types of treatments coming out every day! But, there’s not too many as unique as this one! Global Keratin’s The Best Keratin Treatment is truly one of a kind and i’m so beyond excited that I was able to try it out! Below you’ll find more about the treatment, a step-by-step of how I applied and how it helped my hair! Description: Global Keratin The Best Hair Taming Keratin Treatment with Juvenix is formulated to smooth and soothe the hair and leave it shiny, silky and manageable. The BEST part about this keratin treatment? No formaldehyde! This Keratin treatment is specifically formulated as a revitalizing and rejuvenating keratin treatment that eliminates frizz and curls but has NO WAIT TIME! That was music to my ears. I love getting my keratin treatments but hate the 72 hour waiting time before I can shampoo my hair. With The Best, you can shampoo, literally, right after you finish flat ironing your hair! How awesome is that? Scent: Another plus to the Global Keratin treatments is all of their products have such a pleasant scent! 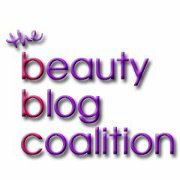 The clarifying shampoo, treatment and post care products do not smell like chemicals at all! Such a refreshing change from some of the other keratin lines on the market. That made me feel a million times better about trying out a new treatment! Usage: As you may know, there’s a lot that goes into doing a keratin treatment so I’ve decided to break down the application process I followed step-by-step. Step 1: I shampooed my hair twice with Global Keratin Clarifying Shampoo to remove any excess product build up. On the first shampoo, I lathered up and let the shampoo sit for about a minute to help break down any extra product build up I may have accumulated being that I am a hair product junkie. Step 2: I towel dried my hair until it was no longer dripping and sectioned my hair into 3 sections. Step 3: Wearing gloves, I took 1/4″ sections starting at the nape and lightly applied the product into the hair with my fingers and the Global Keratin Application Brush. Before moving on to each section I combed the product through with the Global Keratin Fine Tooth Comb remove any excess product while making sure every strand was coated. Step 5: Using warm water I rinsed the treatment out completely without shampooing. Step 6: Section by section I blow dried my hair the same way I always do until it was 100% dry. Step 7: Now, it was time for the most important step. Using my flat iron set to 385 degrees (also as directed by the application guide which was super helpful again), I started flat ironing my hair in ¼ inch sections, passing over each second 3-4 times. 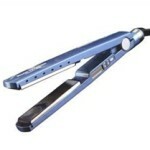 Step 8 (optional): You can wash hair immediately after you are done flat ironing your hair. I chose to wait until the following morning and washed my hair with the Global Keratin Moisturizing Shampoo & Conditioner which smells and feels AMAZING! Results: I’m two days post-treatment and what a difference! I have extremely curly, frizzy hair naturally so air drying my hair is just not an option. Until now. Although my hair still has some curl, it is much more manageable and 100% less frizzy. One thing I noticed was after the treatment was although my hair looked better, it felt different. Keratin treatments are jam packed full of protein so if you’re hair is not used to it, you may think it feels brittle after a treatment. It’s not! You’re just not used to feeling your hair full of all the protein and nutrients that were absent before. My solution to this? Maijan Oil treatments! After styling my hair with a round brush I rubbed a few drops in my palms and applied from mid-shaft to ends. What a difference! So, that night I used a generous amount of Maijan Oil and threw my hair in a lose braid. By the next morning, that post-keratin stiffness was gone! This is definitely the perfect keratin treatment for anyone who can’t stand the wait time of other keratin treatments but want the same smooth results! ← Prediction: 2014 Fall Hair Trends!